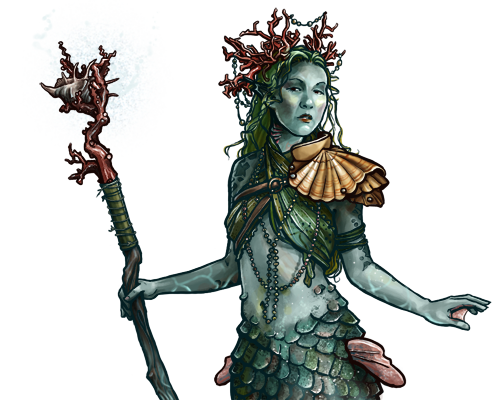 The faerie nature of the mermaids is strongest in the Sirens, whose connection to the currents of magic often causes them to be mistaken for naiads themselves. Though certainly far from the truth, the mistake is understandable, as true naiads are rarely seen even by mermaids. The manifestation of their magic is certainly very similar; the water about a siren can be commanded at whim, like an extension of herself.